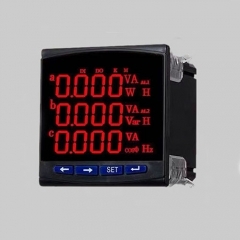 The genset panels use LED digital smart meter with active energy, reactive energy, frequency,apparent power,power factor,MODBUS-RTU RS-485 communication interface is a power meter with programmable, display, digital communication and multiple output functions. Through the AC sampling of the voltage and current loops in the power grid, after the arithmetic processing, high-precision measurement and display of three-phase voltage, three-phase current, active power, reactive power, power factor, frequency and four-quadrant power in the power grid are realized. 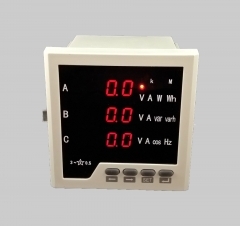 The instrument has a variety of extended function modules: digital communication module, digital switch module, power pulse module and analog output module, which can be flexibly chosen according to needs. RS485 digital interface can realize the instrument group network communication function; 2 power pulse output and 4 analog (4 ~ 20mA) output functions can realize the power and power output function; The 4-way digital input and 4-way digital output function enable local or remote switching signal monitoring and control output functions ("remote signaling" and "remote control" functions). 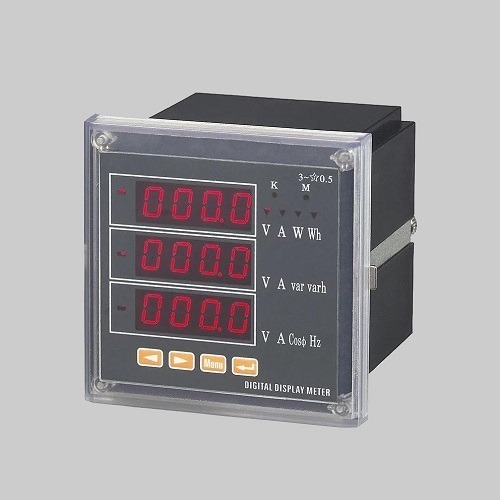 ◇ Measurement: U, I, P, Q, S, PF and other power parameters of the three-phase power network. ◇ Measurement: active and reactive energy metering. 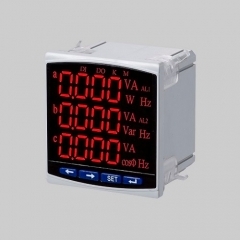 ◇ Display: Programmable 3-row 4-digit LED switching or cyclic display mode, clear display. ◇ Digital communication: RS-485 communication interface, MODBUS-RTU protocol, can be used for networking communication. ◇ Power pulse output: 1 way active energy pulse output, 1 way reactive energy pulse output. 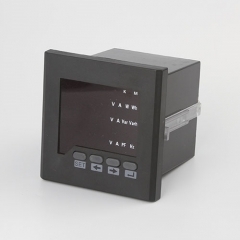 ◇ Switching input and output module (additional function): optional 4-way switch status input monitoring and remote signaling, 4 channels (6 square meters for 2 channels) programmable alarm switch output or remote control switch output. ◇ Analog Transmitter Module (additional function): Optional 4 channels (6 square meters for 1 channel) Programmable 0 to 20 mA or 4 to 20 mA output for traditional transmitter functions. U, I, F is 0.2, P, Q is 0.5, active energy is 0.5, and reactive energy is level 1.